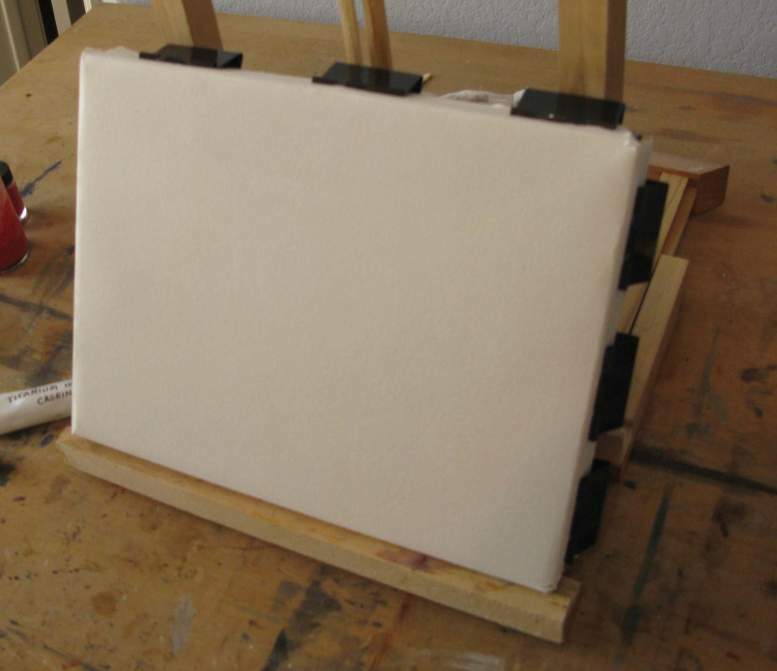 The thumbtacks I used in my simple frame for the last painting worked okay, but I wanted to go back to the sturdier method of using binder clips as in my larger frame. I decided to just glue some wood strips to the sides of the frame. This shows the back of the assembled strainer. 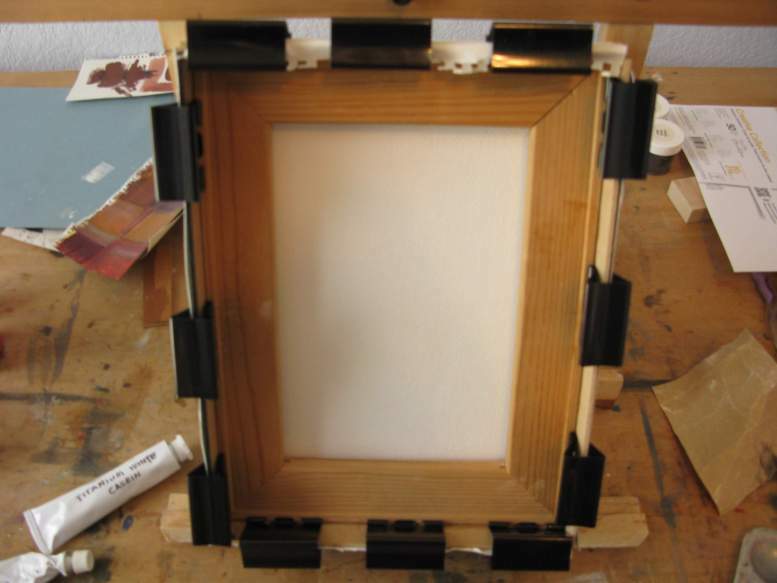 I cut 4 thin strips of scrap chipboard to 1.5 inches wide, and glued them to the sides of the frame with contact cement. Now I can use the binder clips to hold the wet paper tight. Ready for another painting.